Where more brides in Acadiana come to plan their wedding! This year's event takes place on Sunday, September 29th, 2019, 12:00 Noon - 4pm at The Cajundome Convention Center. TICKETS GO ON SALE JULY 27! No children under 12 and no strollers. 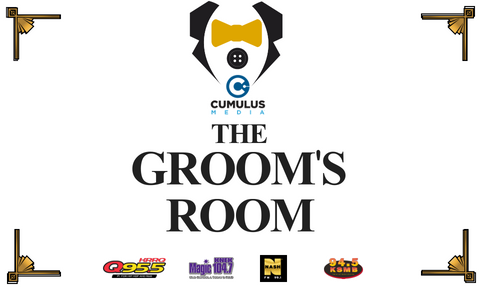 This year we've added an all new Groom's Room! Brides and Grooms can come together and see all the exciting wedding items we have waiting for you and watch the big Sunday game! LA Bridal Expo 2018 Show Reel from Cumulus Lafayette on Vimeo. ﻿﻿﻿*If the Bridal market is a significant part of your business, you can’t afford to miss out on meeting the hundreds of brides t﻿﻿﻿hat attend the Cumulus Louisiana Bridal Expo every year! This event is open to the public and is well known across the South as being one of the state’s largest bridal shows! Each year gets bigger and better for vendors as well as visitors. We are planning a whole new set of opportunities for the LA Bridal Expo that will be sure to generate even more business for you. •More than $40,000 of on-air radio advertising inviting visitors to attend. •A matching promotional schedule on all Cumulus Lafayette’s streaming stations. •Advertising on all 4 of Cumulus Lafayette’s websites. •Email blasts to stations’ listeners. •A veteran staff of professionals at your disposal before, during and after the show. •Quick access to the contact list of brides in attendance at the show. Visit our contact page or call 337-232-1311 if you would like to have your business in the La Bridal Expo.